Very early days by the sound of it. 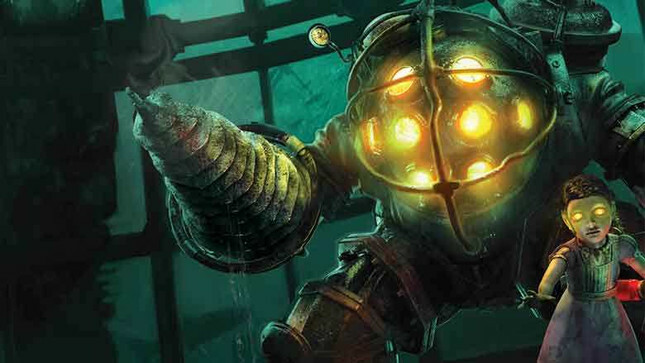 A small group of developers in a “top-secret” studio in California is working on the next BioShock game, Kotaku reports. That tidbit of information sits within another lengthy and excellent investigative piece from Kotaku’s Jason Schreier – this one on the state of Mafia III studio Hanger 13. Schreier interviewed a dozen people familiar with goings-on at Hangar 13 for his piece, and they tell of a shift in mood from optimism following the release of Mafia III to uncertainty as key staff left and 2K enacted two rounds of layoffs. Following Mafia III, Hanger 13 was going to make Mafia 4, which was to be set in Vegas during the ‘70s. It dropped that idea in favour of working on its own IP – a spy game set in Berlin called Rhapsody – but the game’s design was changed dramatically for the worse, and studio morale sank. “Many of the people who helped make Mafia 3 are now gone, including the game's art director, technical art director, senior producers, design director, many design leads, and a number of other key staff,” Schreier reports. Apparently the BioShock title is being developed under the codename “Parkside” using the Unreal Engine. "The issue is that Parkside's not ready for lots of people," one source told Schreier. "They're trying to be really smart about figuring out what the core thing is. They're careful about not falling into the same problem every studio has, where they have too many people and nothing for them to do." There’s another small tidbit at the start of the feature that makes for dispiriting reading: for Mafia III, developer bonuses were tied to the game's aggregate review score on Metacritic.